At JinkoSolar, we have a network of distributors across Australia and New Zealand strategically located to serve every state and territory. Our distribution partners are volume suppliers of PV system components, enabling us to provide reliable delivery and service to all of our customers. Our worldwide logistics network ensures that modules arrive on-time and in pristine condition. In Australia, we have dedicated warehouse facilities in Sydney, Melbourne, Brisbane, Adelaide and Perth. Because we understand that our customers in Australia value local service, we’ve built a full-service team focused on helping you grow your solar business. As part of Australia’s largest electrical wholesaler group, Rexel Energy Solutions can offer huge savings on quality products, and have the knowledge, support and means to put money back into your pocket. Rexel facilitates access to its nationwide network of fully qualified, accredited and trusted local Electrical Contractors to ensure you get quality service every time. Stonestar is an Australian owned company with more than 20 years experience in wholesaling and manufacturing. Customer service is Stonestar’s first priority. Stonestar services Victoria where it has its warehouse. MMEM is a leading trade wholesale distribution business, with over 250 branch locations across Australia. It is a one stop sourcing and supply solution for electrical and solar components. Its conveniently located branch network provides geographical convenience, local stock and experienced staff to ensure that customers are supported for business success. Solargain is one of Australia’s leading solar energy providers with head office in Perth and offices and warehouses in most states and capital cities. With over 20 years of experience, Solargain are regarded as one of the best structured and integrated solar power and solar hot water companies within the industry. Go Solar is a leading Australian solar wholesaler headquartered in Canning Vale, WA, with offices/warehouses also in Sydney, Melbourne, Adelaide and Brisbane. Go Solar doesn’t just shift boxes, they also provide electrical engineering services to solar installation companies including CEC Installer/Designer training. Go Solar only supplies world class quality equipment like JinkoSolar modules. For more than three decades RFI has been one of Australia’s leading distributors of renewable energy products. RFI supports its clients throughout Australia with the Power Partner program – the largest dealer network of its kind in the Australian renewable energy market. Ideal Electrical is the complete electrical, solar and lighting supplier for every home and commercial need. Ideal has over 50 locations throughout Queensland, Victoria and New Zealand. 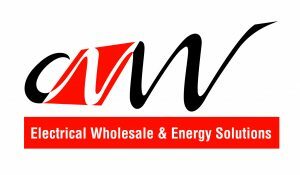 CNW are an Australian business focused on developing its branch network through partnerships with employees, customers and suppliers. CNW understands that its customers want to partner with someone who understands their business, and strives to develop long term relationships based on service, professionalism and informed advice. Blue Sun Group Pty Ltd is an Australian owned company with its head office in Brisbane, and R&D department in Munich, Germany. The Blue Sun Group specializes in renewable energy products including Jinkosolar modules, inverters and mounting systems.